One of the most difficult, but unfortunately most important, aspects of learning English is its famous phrasal verbs. They are everywhere! Unfortunately, you cannot escape them, and to progress to an advanced level in English, you must learn them proficiently. This means she thinks she is better than and has no respect for her colleagues. When phrasal verbs are not used literally, they are idiom just like all other English idioms. 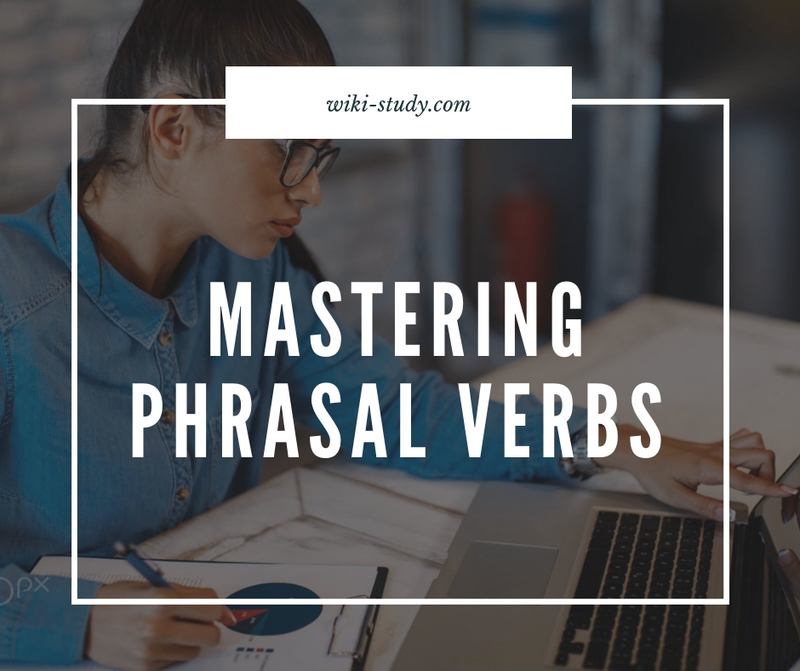 There are many books on phrasal verbs, but because most of them only deal with phrasal verbs, they can be very boring and intimidating for students. Phrasal verbs should be learned together with other useful vocabulary and not in isolation. The particle part of the verb greatly modifies, or changes, the meaning of the verb. So, sometimes you have a verb which has a completely different meaning, depending on its particle. For example, get up; get over; get around to; get in, and get through all have completely different meanings. It is imperative to understand these meanings to fully understand native speakers when they speak English. There is a strong tendency for learners to avoid using phrasal verbs because they do not appear in other languages. Do not do this! Search for phrasal verbs and try to use them as much as possible. Using phrasal verbs will make your English sound more natural. You often have to study the word for word. This means that you cannot always understand the meaning of them in context, based on the verb and the particle. Sometimes this is possible: for example, blow away; fly away; pass away; go away. These phrasal verbs all have the idea of leaving. However, other phrasal verbs have very strange particle verb combinations, which make little sense: run out of; give in; hang out; and crop up, for example. You, unfortunately, have to look up the meanings of these verbs in a dictionary to understand them. Don’t be afraid of phrasal verbs!